The extinction of a whole species isn’t as rare as you think. It happens all the time. However, the extinction of a prominent and popular species, now that doesn’t happen so often. The Humulus lupulus, or hop plant, first started to encounter difficulties after a series of freak weather incidents led to several major crop failures. Soon after, not one but three separate forms of microfungi were found to be spreading and attacking hop plants. These fungi needed to be treated by farmers with a cocktail of pesticides that while seemingly effective had not been tested in the long-term. After five years, most hop plants that had been treated died, the pesticides had lingered in the roots and killed the plants from the inside out. Those plants that did not completely wither post-fungicidal cocktail were then picked off by a new resilient form of the microfungi. One bad winter later and there were no hops at all. While initially the brewing industry looked into hop-free alternatives to beer, they met with little success. There was also the broader issue that as hops had become more scarce the price of beer had risen to such levels that most people had given up drinking it anyway. Pubs and bars tried to move their regulars on to wine and spirits but either closed as patronage dropped massively, or found themselves closed by the authorities as their customers inevitably drank too much wine or whiskey or vodka, got rowdy and generally caused enough of a disturbance on a regular basis that those in charge of such things decided to take away the publican’s licence. Not only were the alternatives to beer obviously much stronger in terms of alcoholic content by volume, but they also produced a different kind of drunk, a less predictable one, who would just as likely start a fight with you as fall asleep in the street. Naturally, anti-alcohol campaigners were delighted. 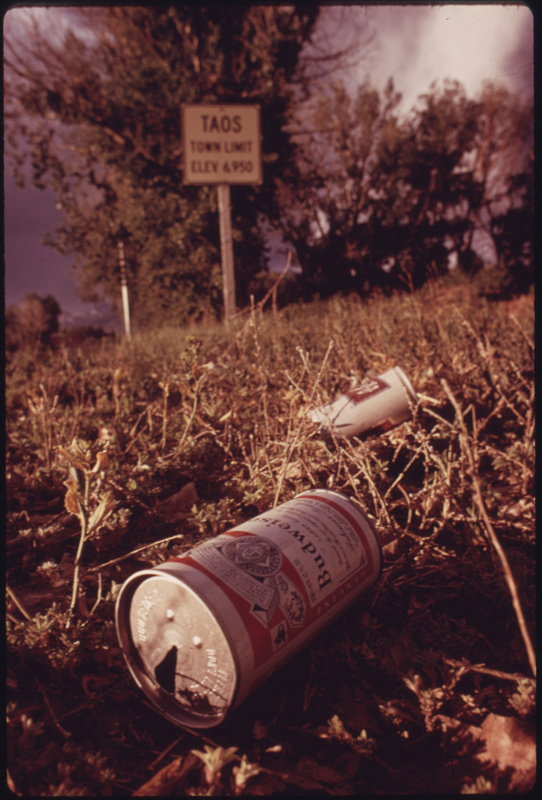 They had seen beer as the root of many social ills, and now that was gone, they could pin the blame on other beverages. Soon enough, a degree of prohibition was brought in across the world – the reputation of alcoholic drinks was at its lowest, and many companies producing such goods were going out of business anyway as demand ebbed away as did the places to actually sell the stuff. This was no new era of sobriety and calm, however. People still needed their release and escape from the world. Some people did this through drinking far too much coffee, which bar the odd cardiac incident, didn’t seem to do much harm. But plenty others delved into the world of illegal and prescription drug abuse. Others tried to brew their own moonshine or equivalent, leading in many cases to blindness, madness and general despair. Extreme sports got more extreme, although it was discovered that the greater the adrenaline rush for the participant, the lesser the interest there was for the spectator. These activities were all conducted in a solipsistic way. The release and escape from the world was now a self-absorbed and self-centred activity, not a social one. Communities fragmented further. There were no real collective experiences. Everyone was too focused on their illicit drug habit, or their skateboarding off a cliff, or quaffing their single origin espresso to actually look up and see anyone around them. It was enough to make you crave a pint. This was in response to Steven’s suggestion that I post about a dystopian vision of life without beers. I don’t drink, and it’s anything but dystopian. Jogging is where it’s at. Endorphin rushes are the new beer goggles. But I do think the worst part of a future without beer would be the complete demise of Country & Western music. It’s the only musical genre that’s both a byproduct of, commentary on, and enabler of alcoholism. I really like the picture, by the way. Taos is only a couple hours north of me. D.H. Lawrence spent some time in Taos. His remains are at a little shrine just outside of the town, I believe. I don’t know if it’s true or not, but I had heard that he was cremated, and his ashes were actually built into the shrine. My current employer owns the shrine. I check our job site pretty regularly to see if a job as site manager has opened up. Great point about C&W. I guess if you removed the booze you’d be left with the horrible plastic, corporate Nashville-y stuff. That would be pretty cool if you got a job at the shrine, an interesting tale there. I barely drink but the very thought of this made ME crave a pint too. Love what you did with this. Thanks – glad you enjoyed it! It was a really fun idea to work with.